Penny PM conducted a course for new AspireHR Project Managers this month focusing on the importance of defining a Quality Management Plan for every project. 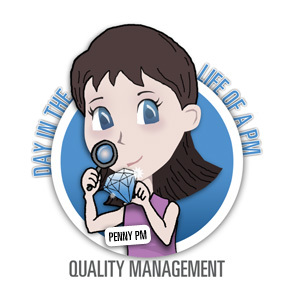 Penny PM emphasize d to the class attendees that as new Project Managers, it is important to have a Quality Management Plan that not only defines Governance, Risks and Issues, but also provides a process to monitor a project throughout the project’s life cycle. After all, we want to make sure our customers are happy as well with the progress of the project! Quality Reviews are conducted by the PMO and the Team Leads to ensure that all relevant workstream deliverables have been completed to meet each major project milestone. Deliverable Reviews are conducted by the PMO against deliverab les produced by the project sub-teams (BPM, testing, data, etc.) to ensure that they meet basic quality standards and can qualify as complete with respect to the Quality Review process. Project Quality Assurance Reviews are conducted periodically by the Quality Assurance Manager from AspireHR. These reviews cover all aspects of the project including, but not limited to: project’s PMO, testing, conversions, infrastructure, interfaces and cutover. The intent of these reviews is to highlight current issues, potential areas of risk, and report back to the PMO and Steering Committee members. Governance, Risk Management, Issue Management, and Quality Reviews are critical to any project. Governance describes the proper flow of information regarding the project to all stakeholders. It ensures that the appropriate review of issues encountered within each project and required approvals and direction for the project are defined and met at each stage. Issue Management first starts with risk management. Each risk identified by the project team should have a mitigation plan and be reviewed regularly. High probability or high impact risks will be escalated to the operating and/or steering committee for assistance. Risks that become issues or issues not previously identified as a risk will be managed in the Issues List, per the Issue Management Procedure created during Blueprint. Issues are logged, assigned to an individual responsible for resolving the issue, and given a date for resolution. The Issue List will be reviewed regularly to ensure timely closure of issues. 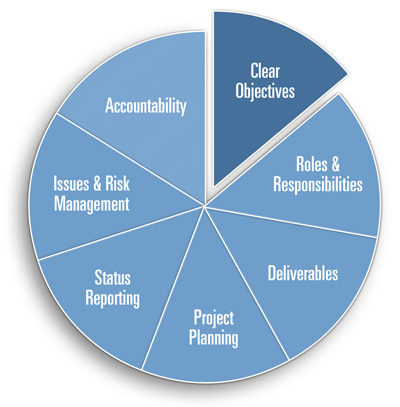 The Quality Assurance Plan defines who is responsible for regularly scheduled internal Project Quality Reviews to assess the project’s progress, feedback from the client, and consulting team members regarding leadership, risk and issue mitigation, change management progress, and deliverable quality and status.